A westside teenager believed to be responsible for at least a dozen armed robberies in the Katy area was arrested this week, according to the Harris County Sheriff’s Office. 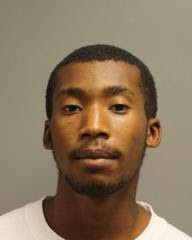 Kaleb Robertson, 18, allegedly robbed a dozen or more businesses in and around Katy. Kaleb Robertson, 18, allegedly robbed numerous Katy businesses at gunpoint in the last month. He is accused of holding up fast food restaurants and gas stations, among other establishments. One of the charging instruments filed by Harris County. Roberston resides at 2730 Youpon Lake Ct. near Greenhouse Rd. in west Houston, court records show. He is currently in Harris County Jail on $100,000 bond. Next post: Man dies in wreck at 15900 Yorktown Crossing Pkwy.